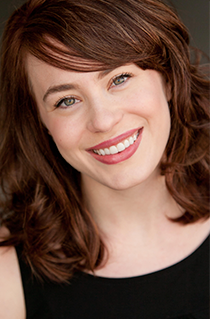 PlayMakers: Company member in third year of UNC’s Professional Actor Training Program. The Cake, My Fair Lady, Twelfth Night, The May Queen. Assistant Director on Sherwood: The Adventures of Robin Hood. Tour: Cosette in the 25th Anniversary Tour of Les Miserables. Regional: Into the Breeches, An Octoroon (Chautauqua Theatre Company); The Secret Garden (Theatre Raleigh); Les Miserables (Paper Mill Playhouse); She Loves Me, Into the Woods (Westport Country Playhouse); Into the Woods (Baltimore Center Stage); Much Ado about Nothing, Fantasticks (Provo Theater Company). Directing: Peter Rabbit and Friends (Theatre Raleigh); Natural Shocks, The Kritik (Kenan Theatre Company); Assistant Director to Tyne Rafaeli, Measure for Measure (Shakespeare Santa Cruz). TV: America’s Got Talent, The Academy Awards (featured performer). Education/Other: Brigham Young University and Steppenwolf Theater Company. Former member of Thrillionaires, long form musical Improv. Jenny is a proud member of Actors Equity Association.